Samaria Gorge Crete is the longest gorge in Europe at 16 kilometers long and one of Crete’s main tourist attractions. 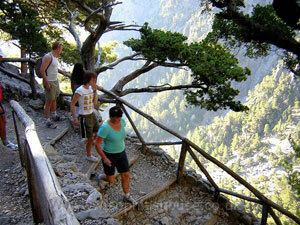 Samaria Gorge winds down from the mountain to the beach through stunning scenery. 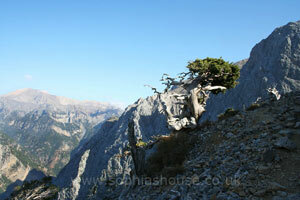 The Samaria Gorgehas a large amount of herbs and wild flowers many can only be found on Crete. 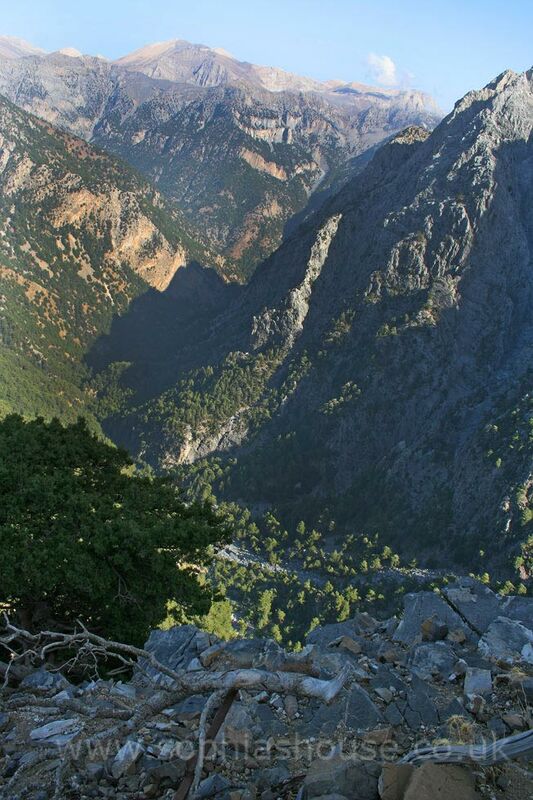 Crete’s most famous animal makes its home at the Samaria Gorge; it’s the KRI KRI (Capra aegagrus creticus) Wild Cretan Goat. This small brown goat has fabulous curled horns, maybe you’ll spot one when you traverse along the gorge! 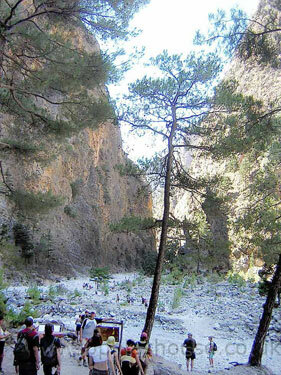 You might be aware of the KRI KRI along the riverbed clambering about, a few KRI KRI are actually seen to taking food offered from people when they’re walking through the gorge. 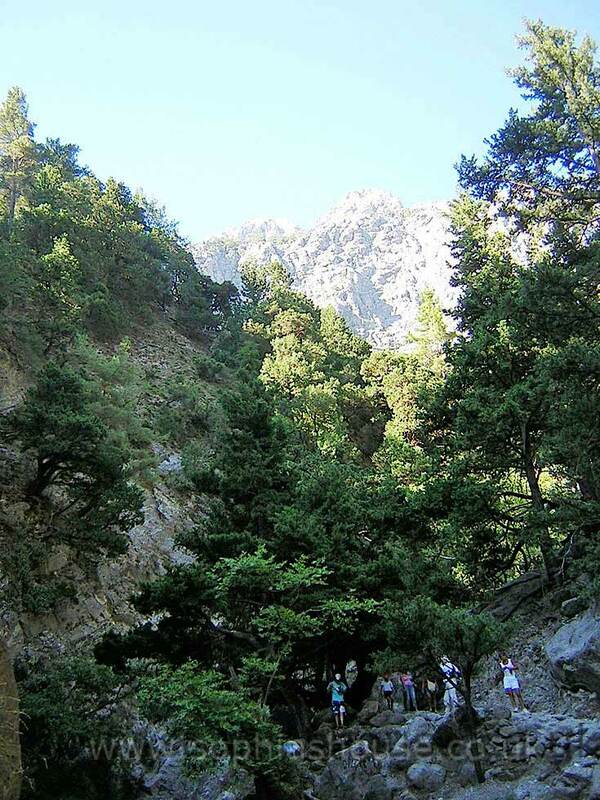 The KRI KRI can only be found on the Cretan island, at Samaria Gorge itself, also only 1 or 2 other places around the island. 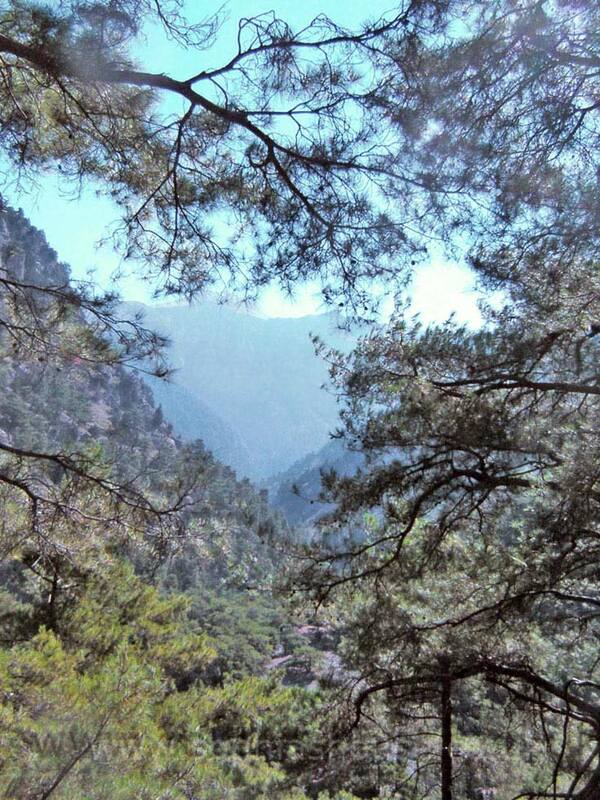 The KRI KRI cannot be seen in the wild anywhere else in the world. 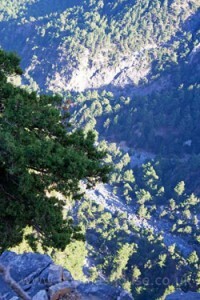 Samaria Gorge zigzags downward and sometimes over a rough and rugged pathway, passing through the fragrant forests of pine trees, criss-crossing over the mountain streams for the 13 kilometre trek. 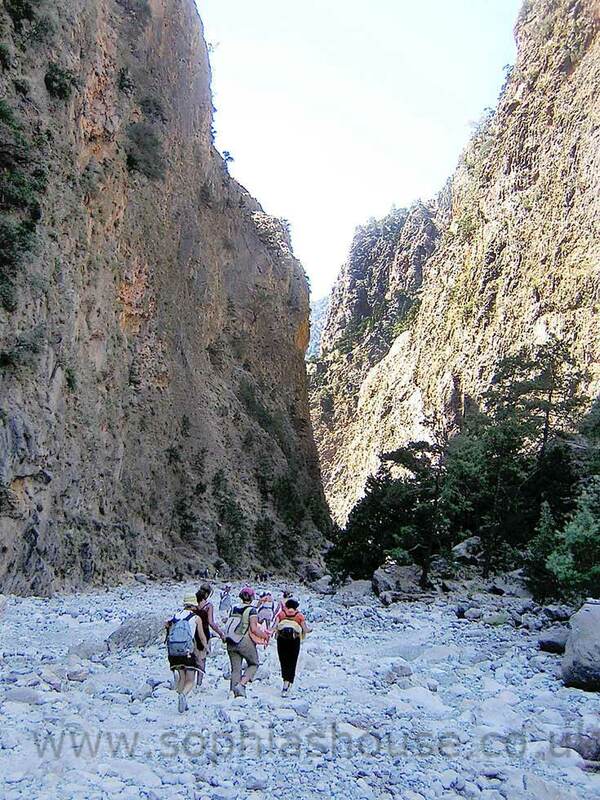 The final 3 kilometres within the gorge is not so taxing since you have a milder stroll straight down to the seashore on a pathway that is paved. 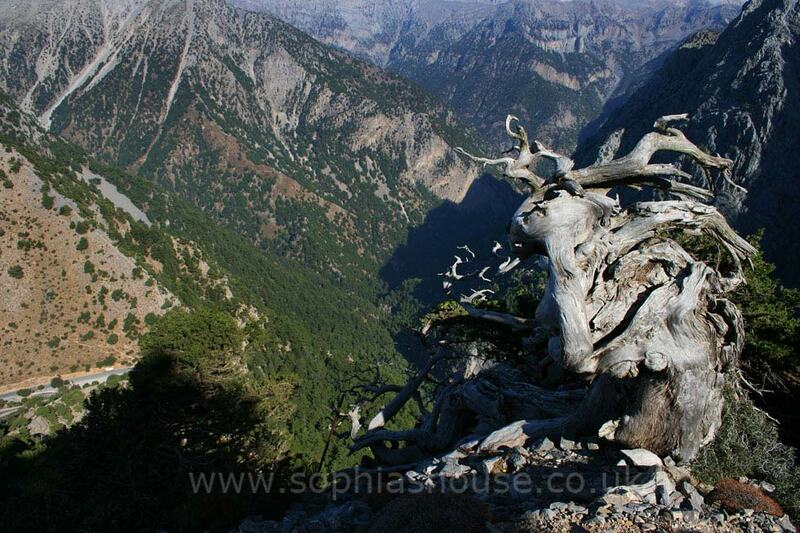 In its entirety, The Samaria Gorge is 16 kilometres long. 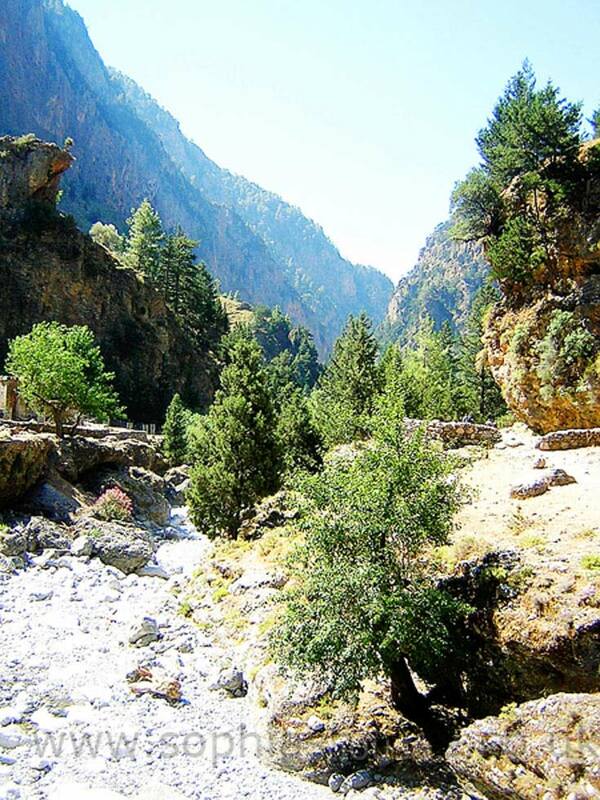 In order that you can hike through the gorge, you’ll need to begin from the Omalos plateau, fairly early so that you have plenty of time to complete the walk, and make it down in time for the ferry at the end. 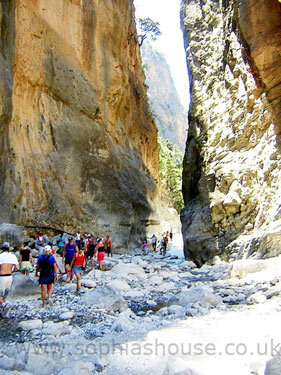 The only exit from the gorge is by catching the ferry boat from Agia Roumeli. Renting a car and driving upto the start of Samaria gorge, could be an option, However you would need to walk back up the gorge to return to the hire car! 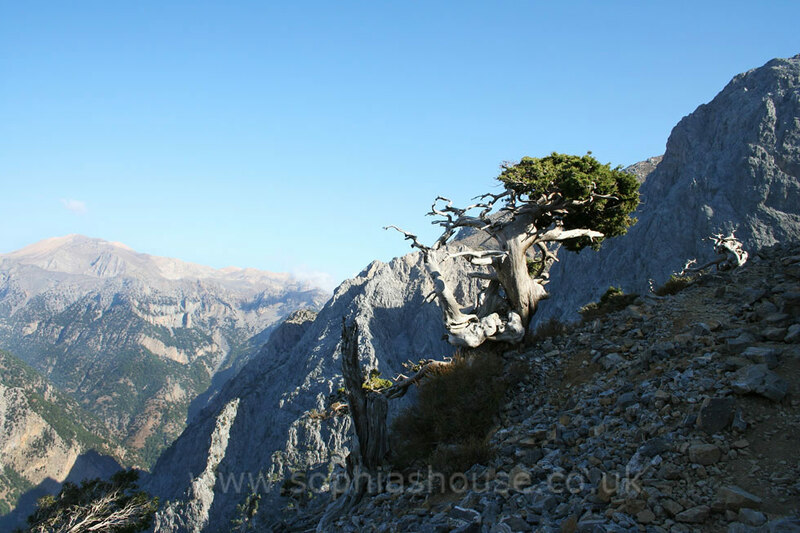 (Sixteen kilometres up a rough rock crevasse?) 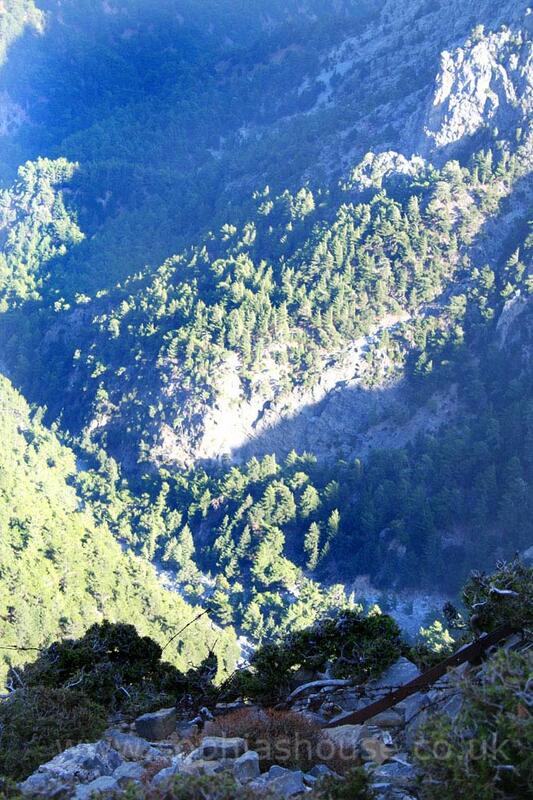 You could possibly get a taxi or bus to the top of the gorge. However the co-coordination for the taxi or bus and ferry might cause you a little bit of a headache. 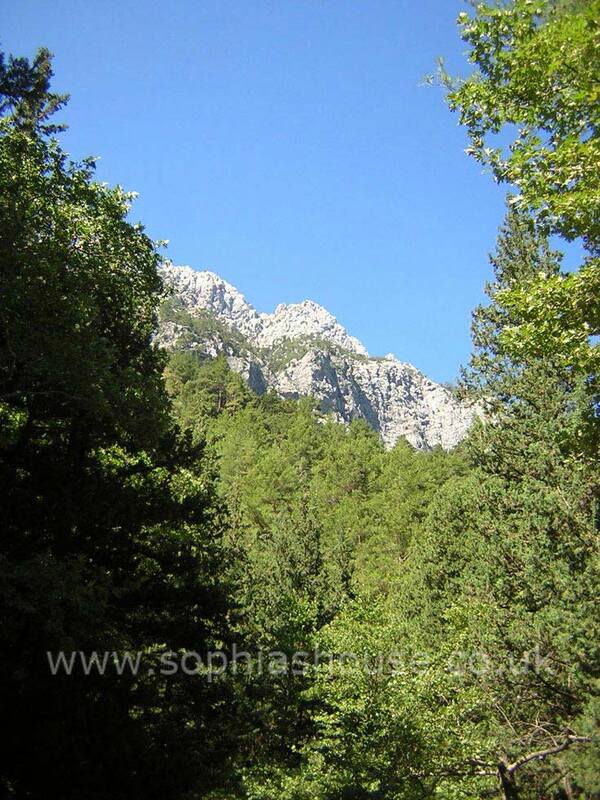 The simplest and most recommended way to appreciate the gorge is by organised trips, which is often booked for you through your holiday representative, or get a better price by popping to the local agent’s offices, they usually run all the trips offered by your holiday rep. You will be picked up from your own accommodation by coach and taken to the gorge, when you have completed the gorge, you will get on the ferry and sail round to meet with the coach for your journey back to your own accommodation. 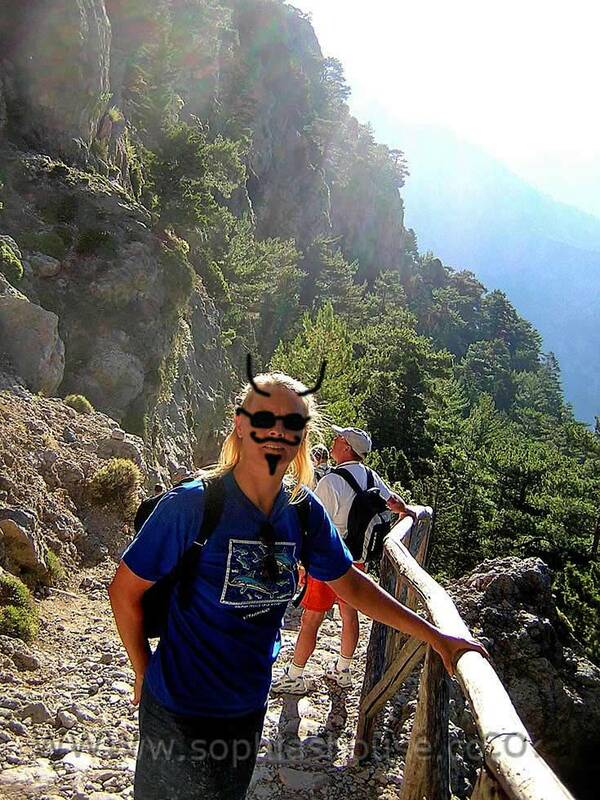 This hike can be quite arduous; it isn’t a walk in a park. 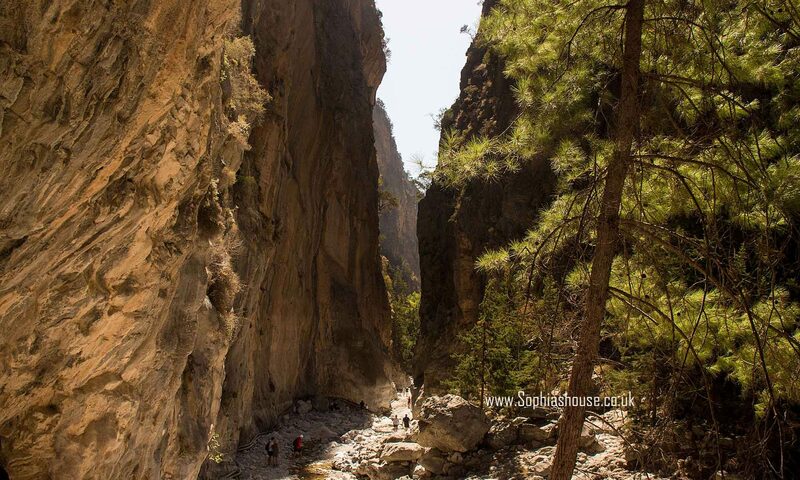 Subject to your fitness and also the speed that you walk, determines the time it takes you to get through the gorge, it could take an average of four to six hours to traverse. 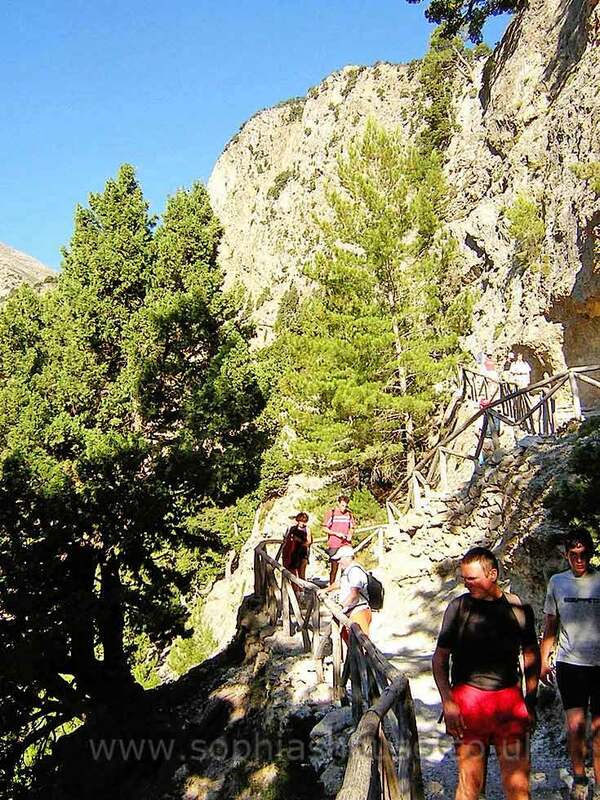 It will help if you are fairly fit when taking on the Samaria Gorge, please remember you have to adhere to the rules of the national park and stay on the paths. The gorge can be treacherous for the inexperienced walker; Therefore individuals with a reliable stamina physically only should try to do the walk. 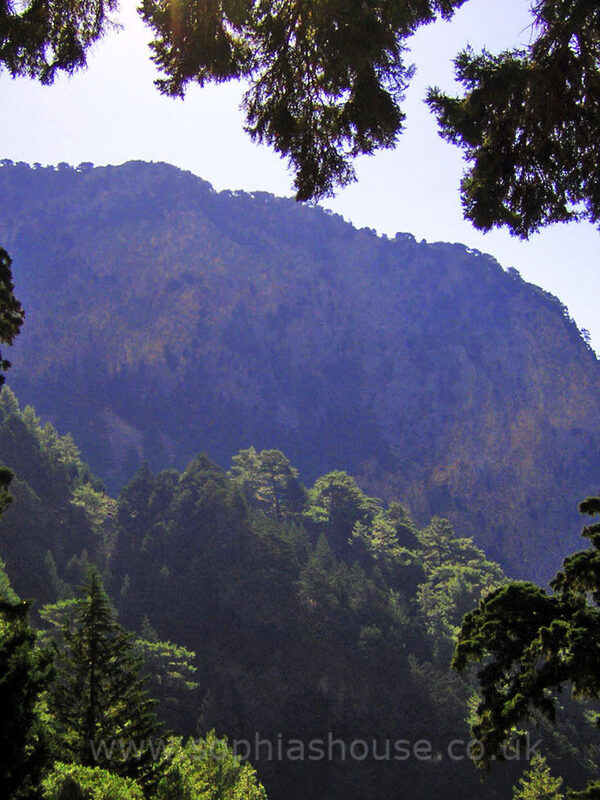 You will discover inclines that are steep, throughout the gorge, with rugged rock strewn pathways that make it quite taxing on the knees. In case you are not used to regular walking then do not try the long trek through the gorge. 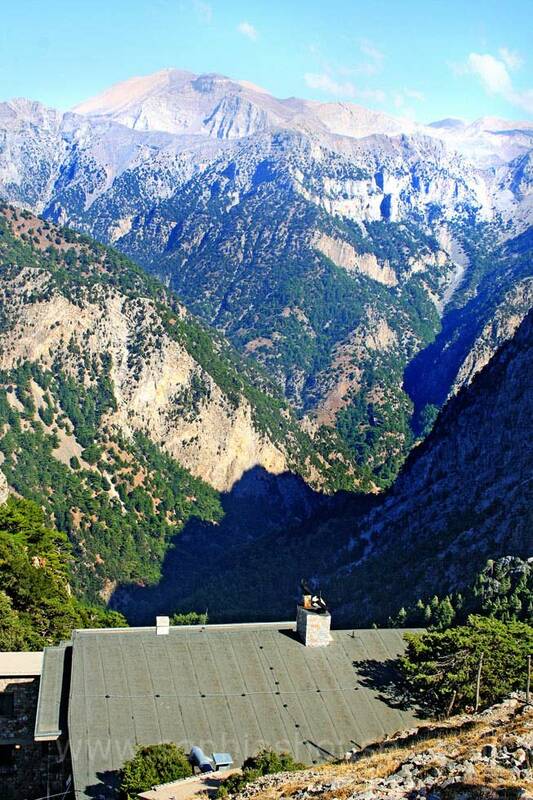 But do Try the lazier way and find a taste of the fabulous gorge by starting at Agia Roumeli on the ferry, walk along to the IRON GATES (a narrow formation of rock inside the gorge) then return to the ferry. Children aged ten and under are not recommended to do the walk. You don’t have to carry a lot of water; you will be able to refill your water bottle at rest stops inside the gorge. You’ll find toilets near to the water stations they’re basic but do the job, smoking is only permitted in the gorge at these rest points, please ensure that your cigarette is stubbed out completely. 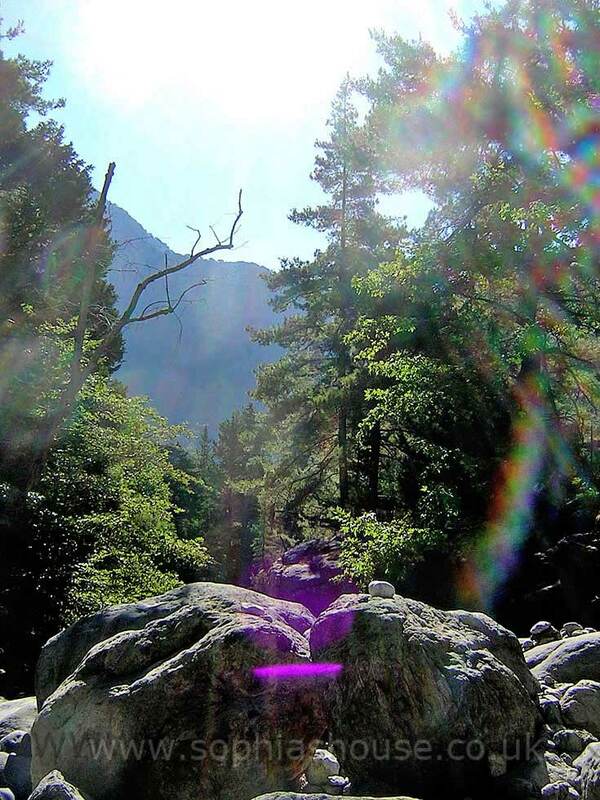 Take extra care whilst walking through the gorge, look where you are putting your feet, in order to look around in the gorge, stand still and observe or take pictures etc. Try an application of “Vaseline” onto the feet and wear thick hiking socks of good quality sturdy boots or well fitted training shoes should help you avoid blistering on the feet. 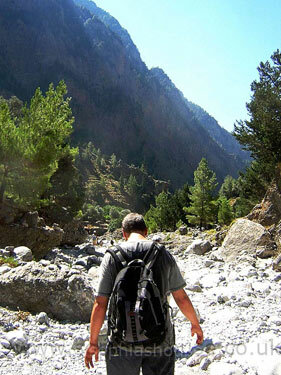 Stick to the recognized path and use caution crossing over the river-bed, the rocks can become wet and very slippy. It’s fairly obvious which way the main paths leads, but if you become uncertain stop, wait for somebody to come that is sure of the way and then you may follow them out. 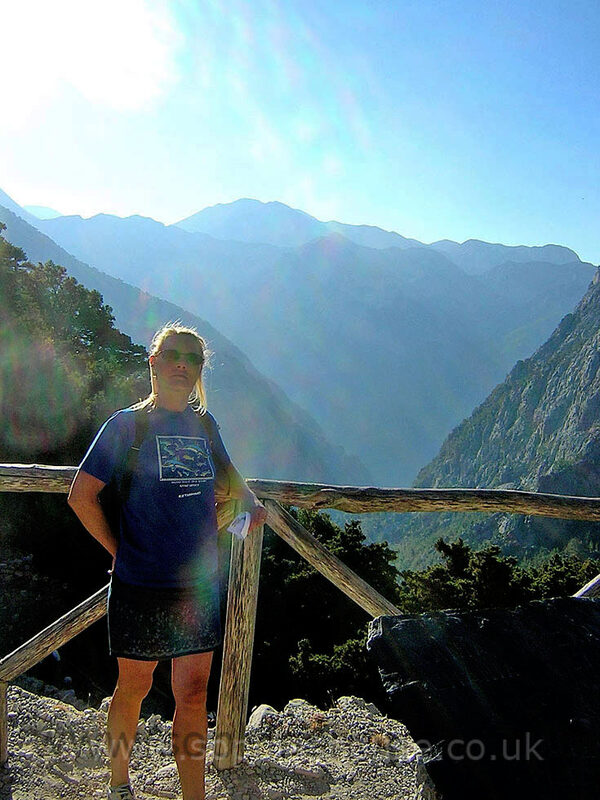 A decent quality sleep through the night, and also an early start to your hike could be the key to a fantastic day in Samaria gorge giving you loads of time to take in the gorgeous scenery and impressive fauna and flora. 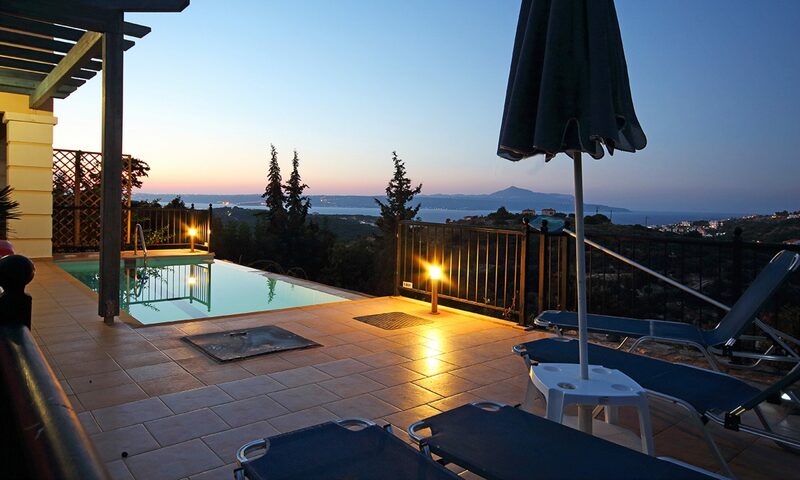 You can purchase organised tours from all-over Crete. For anybody who is staying close to Chania, on the northwest coast you’ll un-doubted find an organised trip that hopefully will arrive at the start of the gorge before almost every other coaches arrive. Thus giving you a head start and can be a blessing in disguise because the path can get quite crowded if 3 or 4 coaches offload at the same time. The environment is somewhat cooler in the earlier part of the morning, which can make temperatures tolerable to start your walk, but do be careful it will heat up more as you continue throughout the day. 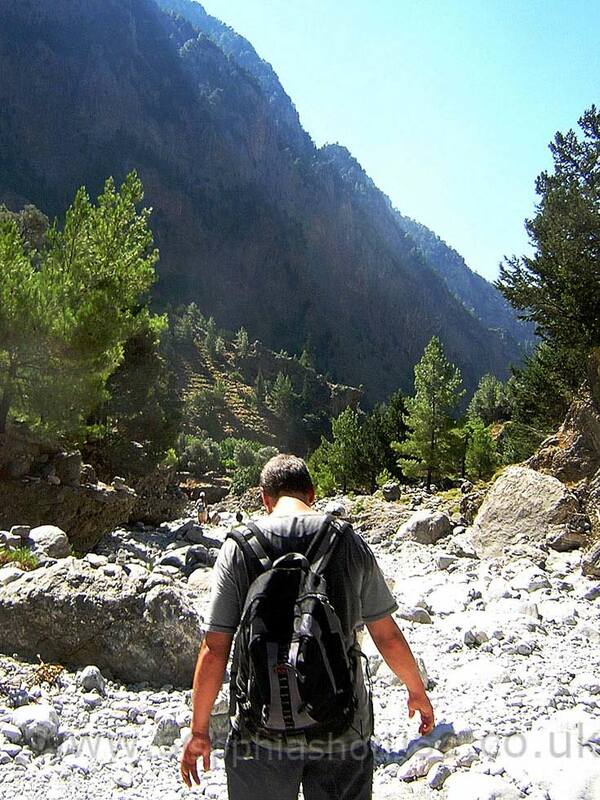 Don’t take too many things with you, carry only essential things. Here’s what we suggest you should take. One medium sized bottle of drinking water (refill at the water station with spring water) snacks for energy, chocolate, nuts, fruit, Sun screen/ lotion, sun hat, a small amount of cash for Entrance fee and refreshments whilst you wait for the ferry. 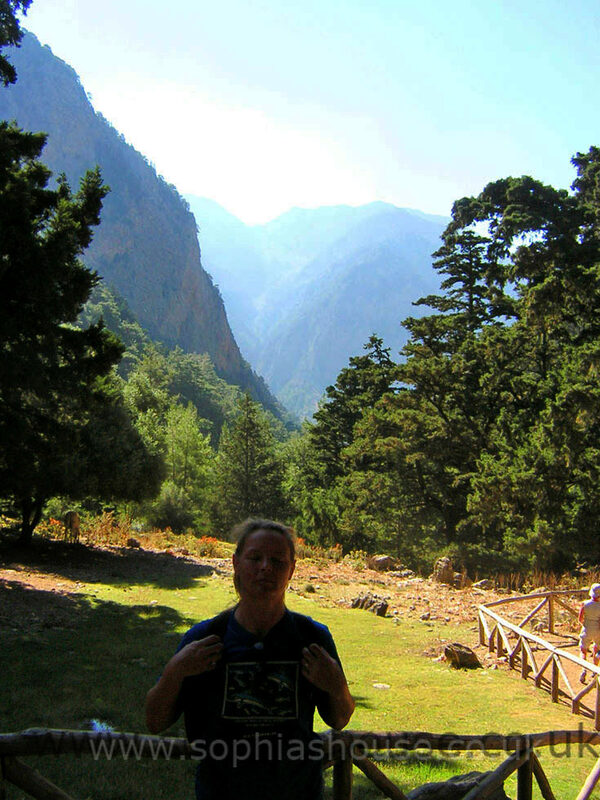 Take a first aid kit, containing, plasters and bite/sting treatment and of course, your camera for those fantastic shots you must take to convince good friends and your family that Europe’s deepest longest gorge, the SAMARIA GORGE OF CRETE was conquered by YOU. 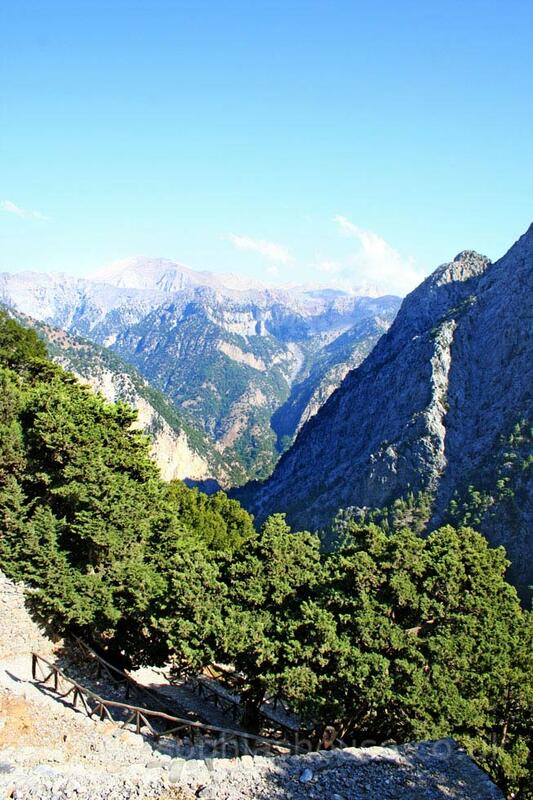 A less strenuous way is to see the iron gates is to catch the ferry from Chorio Sfakion to Roumelli (bottom of the gorge) and walk up, then back down to catch the ferry back to your car at Chorio Sfakion.